Guilford Savings Bank - Growing Investments-At GSB Wealth Management, business is personal. 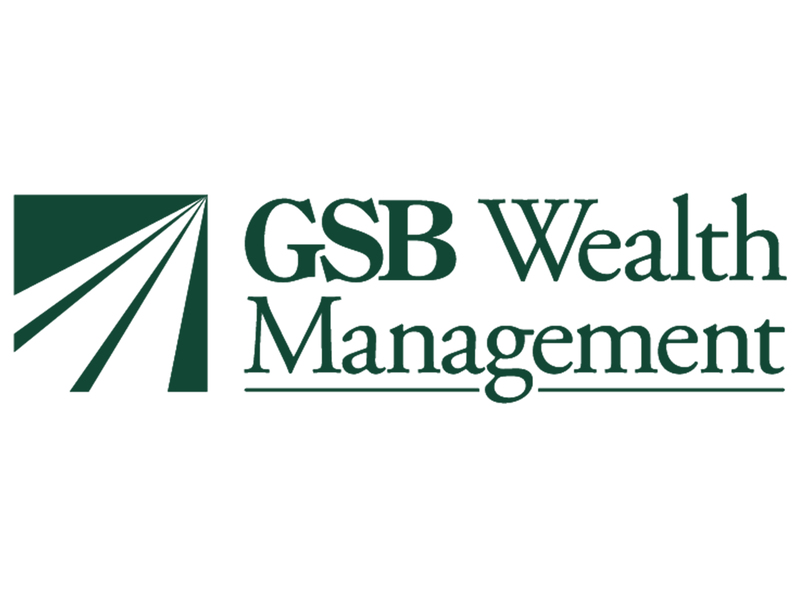 About Us > Our Bank > News > Growing Investments-At GSB Wealth Management, business is personal. Excerpts from an article that originally appeared in Seasons Magazines. Shortly after meeting with the principals of GSB Wealth Management LLC (GSBWM), one comes to realize several things: to call them merely "brokers" would be a misnomer. In fact, the term "broker" couldn't be further from the truth. They love their work and their community, and are close to their clients, whom they've come to call "neighbors." The people who head GSBWM -- Deborah Abildsoe, CEO and founder, and Brant Walker, senior vice president, -- are friends, community sponsors, and at times even psychologists, especially in times of extreme market volatility. Located in a beautifully appointed fieldstone and stucco building at 2614 Boston Post Road behind the "Gatehouse," GSBWM, formerly Asset & Retirement Investment Associates, is about to celebrate its 20th anniversary as a firm that has mastered the art of personalizing and customizing its investment strategy in a manner that is the antithesis of the larger brokerage houses and banks. Deb and Brant (as they like to be called) oversee approximately $250 million in client assets, with account values ranging from $25,000 to $10 million. The firm's philosophy and approach are explicitly designed to differentiate the organization from the larger, brand-name institutions. "Somehow there is a sense out there that bigger is safer," says Abildsoe, but that isn't necessarily true. A case in point is the period of 2008-2009, when many large financial institutions failed or needed to be bailed out by the government. Many smaller firms like GSBWM, sticking to their knitting in investment management, managed their way through the financial crisis in fine shape. That was a difficult period, and anybody with investments suffered temporary losses, but firms like GSBWM that don't participate in lending and derivative products came out on the other side healthy and intact. Other members of the GSBWM team include Colleen Venter, chief compliance officer. "Throughout our near 20-year history, we have not lost sight of our original objective: to apply a wealth of experience for our clients and their portfolios, tailoring each to the unique desire and needs of the individual," says Abildsoe. In short, GSBWM goes out of its way to avoid potentially expensive, "cookie cutter" approaches to investing, according to its officers. They believe that "no two clients are alike," and therefore shouldn't have to settle for the pre-programmed portfolios that many larger institutions offer. GSBWM spends an inordinate amount of time with clients, taking into consideration their personal situations, fears, family conditions, spending habits, debt, and other factors, before arriving at the decision that "this is the type of portfolio this client should have." GSBWM constructs portfolios using mainly individual stocks and bonds. Many of their larger competitors' layer in product --- for example, populating a portfolio with mutual funds, hedge funds, derivatives and third-party managed product, investments that have relatively high internal expenses and fees. The manager then adds his or her own "oversight" fee, resulting in a portfolio that is expensive to manage. The higher the internal fees paid by the client, the lower the client's long-term return. "At GSBWM, you see our quarterly fee listed on your statement, letting you know exactly what you're paying for. Additionally, you can look in the financial section of your local paper and find listings of most of the investments we utilize," says Abildsoe. Abildsoe brings more than 45 years of experience to the investment arena, including many years with Den Norske Bank, Norway's largest commercial bank. Forty-five years ago, after finishing her education in France, she took a friend up on an offer to visit Norway and wound up staying 20 years. "I took the long way home," says Abildsoe, who is also the mother of two children (now living in Norway and Denmark) and grandmother of four. "This is my first time in 25 years since returning from Norway that I have not been on a board of directors." She quips: "I'm taking care of a husband who just retired!" "What I have accomplished financially here on the East Coast is far above and beyond what I thought I was capable of," he says. "I feel one has to give something back. I'm pretty involved in our church ---- we do mission trips and it's a lot of fun." Classifying himself as a "passionate investment management professional," Walker is a firm believer that "if you build your house [portfolio] properly the first time, it needs a lot less maintenance [trading] later." He recounts a recent experience involving a former $10 million client who returned to GSBWM after managing his investments for the past 11 years on his own. "I worked at a great investment firm that was bought out by a large bank. Most of the investment professionals soon left. I had a one-year non-compete agreement that prohibited me from working with this client. I told him that his portfolio was well constructed and in good shape, and that he could now manage it on his own, which he did. After 11 years, he recently called me, wanting to come to GSBWM. I was humbled by that. It's a testament to treating someone properly -- giving good advice way back when. Our job is to preserve the client's principal and then grow it. That's what makes us unique." "We do our due diligence with everyone who walks through our door... We identify who they are, their spending habits, and their retirement ambitions. A rigorous financial review and understanding must occur before we can establish a proper portfolio. Wealth management is not the end game."